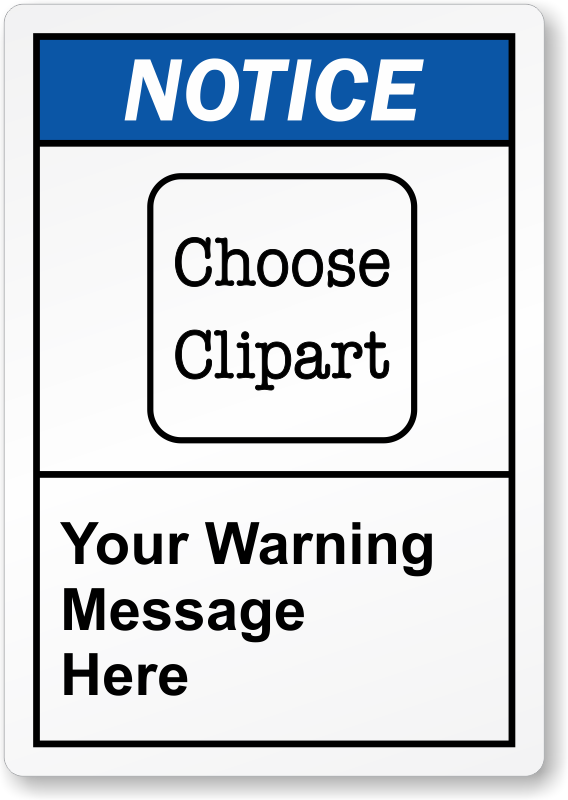 Custom ANSI Notice Label helps you say exactly what you want! Large clipart and colored header make the label easy to spot. Laminated vinyl label is tear-proof and easy to clean. Other material options are also available.